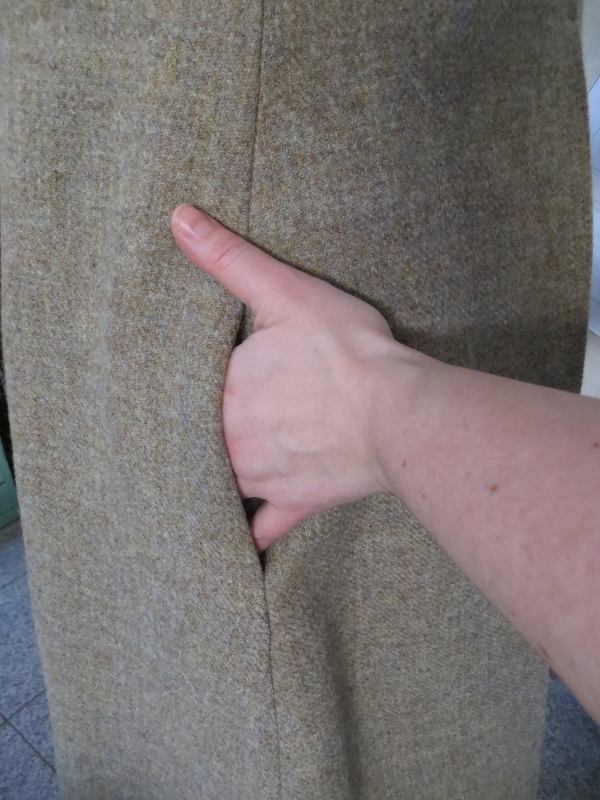 Here’s a view of the in seam pockets. I wasn’t sure about keeping them inseam, but decided I would leave them as is instead of changing them to welt pockets. 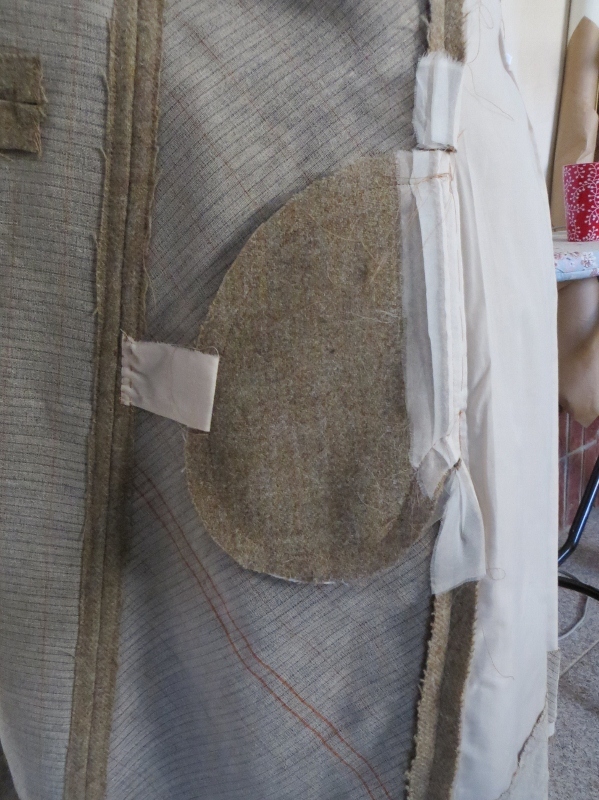 I added pocket stays to keep them from flopping around and extra organza strips to reinforce the pocket edges as they are just off grain and I don’t want the openings to stretch out of shape. 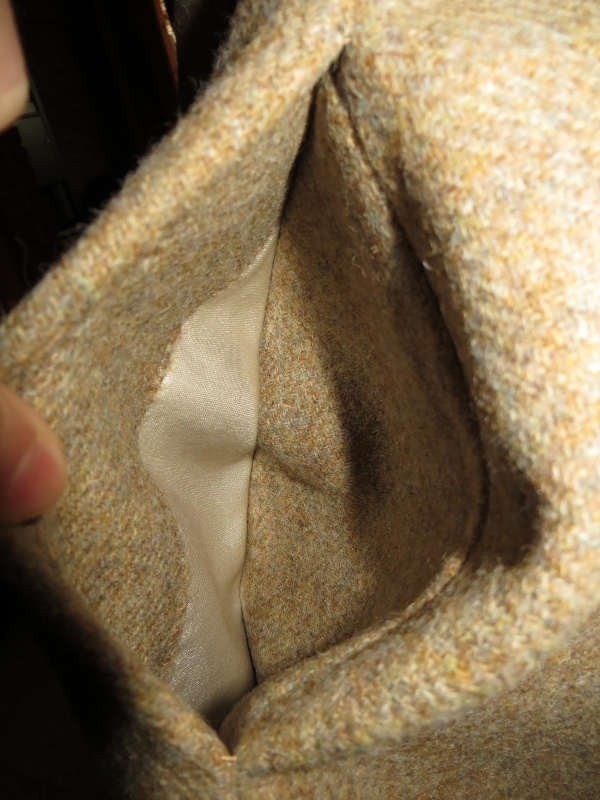 I also added 3-inch (10 cm) wide strips of Harris tweed to the front pocket lining pieces to limit the view of the very shiny kasha lining. I am going to pick stitch the edges to keep all the allowances, organza and interfacing in place. I´m in awe! That´s a lot of work and effort you are putting into this, and it looks like it is going to pay off! Can´t wait to see it all finished and thank you for letting us know of these little and wonderful tricks I, otherwise, would be oblivious of. I love inside photos, too, so I thought I’d post a bunch for this project. It’s what makes sewing fun! Thank you, thank you, thank you for the inside pics! It is such a priviledge to look into the details of all your careful work. OMG! This is a perfect job! I’m jealous of your sewing skills, you are so clever!